Promotional Labels • Enterprise Label, Inc. When it comes to retail, we know you want to sell, sell, sell! We are experts in manufacturing excellent quality promotional labels that will help your product do just that. With flexible options for size, shape, and material for your promotional labels, we can manufacture a custom label perfect for your product. All of your promotional labels will be printed flawlessly with our superior printing technologies! Our printers are capable of four color processing and we can print up to 6 Spot Colors to make your labels stand out to your consumers. 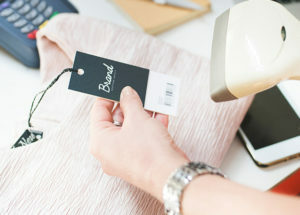 With consecutive barcoding, silk screening, and thermal transfer as well as direct thermal technologies, we can ensure that your retail packaging will print cleanly and smoothly. Enterprise Label, Inc.’s plethora of printing technologies also means we are capable of printing grand format decals, banners, and signs! Give us a call and we’ll set you up with a free consultation!